Help CenterHelp for Interfolio Faculty Search, and Review, Promotion & TenureHelp for Interfolio Faculty Search Interfolio Faculty Search FAQsWhy does the eSignature section of the EEO form appear in the middle of the form and not at the end? Great question! 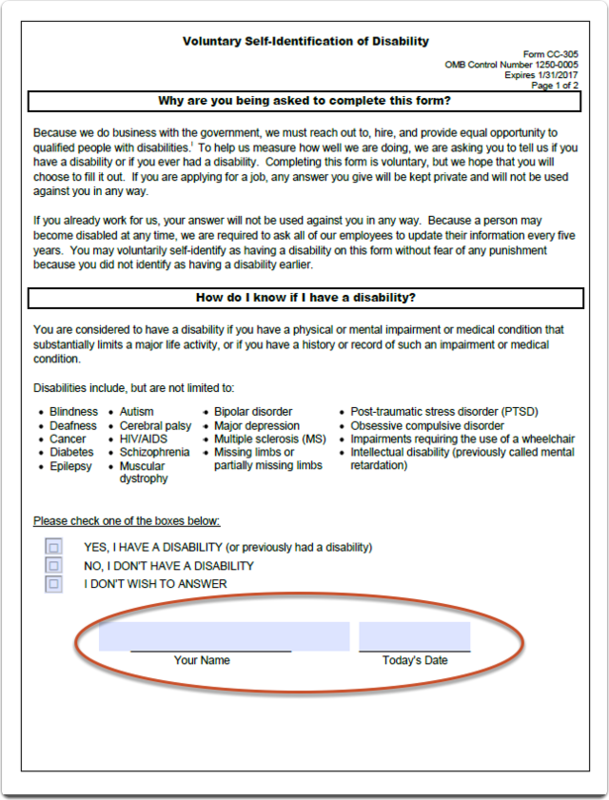 The signature and and dates are requirements of the Voluntary Self-Identification of Disability form by the Office of Federal Contract Compliance Programs (OFCCP). In order to have an editable copy of the form, we needed it to contain the text of the form without alteration. To be on the safe side, we copied the language and requirements of the form directly to ours. See the form below for reference. Prev: Why can't Evaluators see the applicants?